If you work in the medical field it's important to have clothing that is comfortable and durable. Many medical professionals choose to wear medical scrubs on a daily basis. I don't work in the medical field but I've always wanted a cute pair of scrubs to lounge around the house in. Blue Sky Scrubs, offers a wide variety of scrubs for men, women and even children. Their scrubs are fashionable, functional and affordable. With their wide variety of colors there is sure to be ones that are perfect for you and your job. If you're in need of some new scrubs I highly suggest you buy cheap medical scrubs at Blue Sky Scrubs. Shopping on their website is easy and convenient. You can even shop by color! 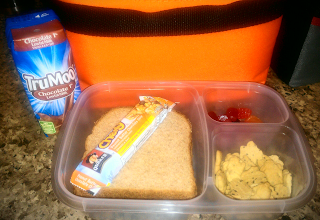 School is back in session and for some families coming up with gluten-free lunch ideas that won’t bore can sometimes be a challenge. Working in an elementary school, children with allergies, especially peanut and gluten allergies are something we hear more and more of. 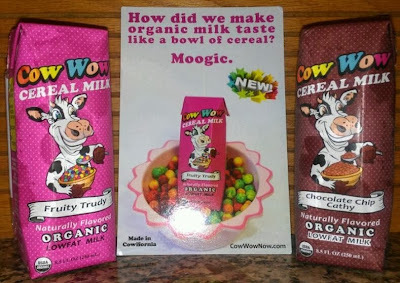 Luckily my children don't have to worry about allergies or food restrictions, but as a mom, I'm always looking for healthier options for my family. Udi’s makes it easier (and more fun) with their selection of gourmet snacks and goodies that last will last in your child’s backpack, lunch box or locker through all those morning activities and into lunchtime. 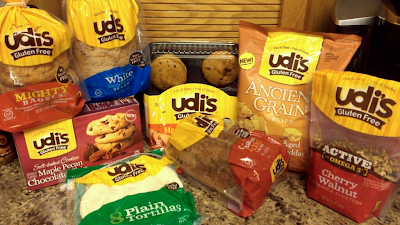 I was recently sent an Udi’s gluten free foods sampler to enjoy with my family. I was quite impressed with the variety of foods that we received and how delicious they tasted. My personal favorites were the cinnamon raisin bread, dark chocolate brownie bites, and the cherry walnut granola clusters! My children both love the chocolate chia muffin tops and the blueberry oat muffin tops. They love taking them to school for snack, and get a kick out of the fact that their peers think they are eating a big, moist cookie for snack instead of something healthy! There are a couple general rules that I have always tried to live by, and they are to enjoy every moment, cherish the little things, and to make every memory count! My kids talk about what they are going to do when they grow up, and how fun it's going to be to be an adult. I tell them that as much as they think they want to "grow up," they really need to enjoy being a "kid!" Gymboree is celebrating by sharing cherished moments in childhood. Kids laughing, building forts, reading, anything that reminds us all not to grow up too fast. Join Gymboree, myself and moms everywhere as we cherish every moment of childhood with our children! Have you tried the NEW Snickers Bites? Cute little bites that are like Snickers babies! 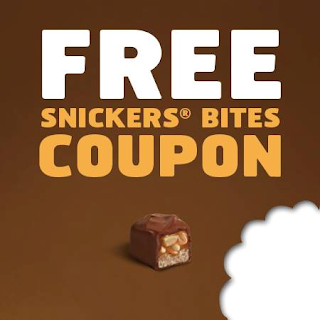 Hurry on over to the Snickers Facebook page and grab yourself a coupon for FREE #SNICKERS Bites, while supplies last! Peanut butter is one of my favorite foods, crunchy or creamy, I can eat it by the spoonful! Both of my children love peanut butter too, and enjoy a peanut butter and jelly or peanut butter and honey sandwich most days for lunch. When I heard about PB Crave, and was given the chance to try their peanut butter with my family - I was thrilled! When it arrived, and I saw what it looked like and smelled like, I couldn't wait to try it. As I opened the first jar, Cookie Nookie, it smelled like dessert - yummy! Made with only the finest natural peanut butter, honey and mouth-watering flavor favorites, PB Crave spreads delicious excitement in every single bite! They only use high-quality ingredients, proven processes and cutting-edge innovation to craft a variety of dizzying blends of unique peanut butter flavors that transform everyday taste into a tantalizing, healthy treat your entire family will love! 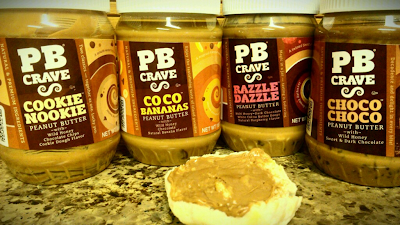 We tried our PB Crave on sandwiches, on pancakes, on crackers, and yes... by the spoonful! Each variety was mouth-wateringly delicious and we just couldn't get enough. PB Crave takes peanut butter to a whole new level, it's pure genius! 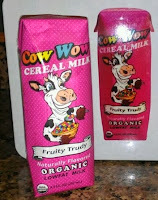 Guess who won two blog giveaways this week? 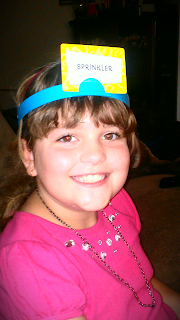 Oh yeah... this girl! I won a Seagram’s Ginger Ale prize pack and a Pure Silk shaving cream prize pack! Plus, items are starting to arrive for Being Frugal and Making it Work's second annual Holiday Gift Guide! It's only Tuesday, and it's already been a great mail week. 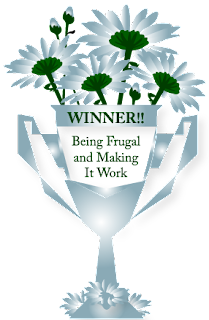 So, lets see who the latest giveaways winners are here at Being Frugal and Making it Work! 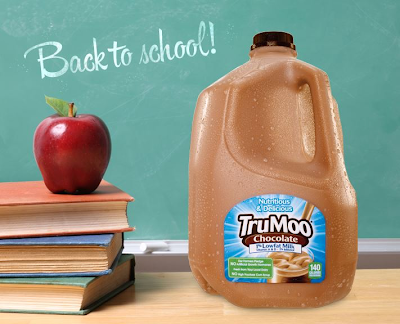 Enter to Win a Goosebumps Haunted Hollywood Vacation - TruMoo Sweepstakes! It’s a trip the whole family will enjoy: an all-expenses-paid vacation to Los Angeles, CA with private tours full of haunted Hollywood magic! You can enter as many codes as you want, and when you do, you’ll automatically receive a printable coupon for $2 off any Goosebumps DVD of your choice. With Christmas a little over three months away, it's time to start thinking about holiday gift giving! Finding affordable and unique gifts is a necessity, especially for those of us on a budget! I've been given the opportunity to receive a few items from CafePress for my upcoming holiday gift guide. What did I choose? You're going to have to wait for my review in order to find out. 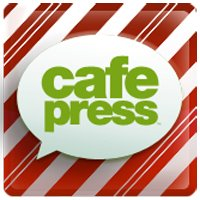 I'll be posting my review in conjunction with a great GIVEAWAY for a CafePress Gift Certificate just in time for holiday gift giving! If you're the lucky winner, it can be used towards a variety of unique custom products including: custom t-shirts, tote bags, coffee mugs, and photo gifts! In fact, the possibilities are ENDLESS! Costume parties are held all year long, making it even more important to have a few Halloween costumes at home. Birthday parties, school parties, special events, fundraisers... so many events are incorporating costumes throughout the year. This year, we attended five parties/events where our children were asked to wear costumes. One of the most recent events was a car wash fundraiser for my son's wrestling club. The coaches wanted to encourage the kids to attend, but also make it fun for them! So, they decided to have a "Super Hero" car wash. Of course, Superman was the most popular superhero to show up... we had 7! 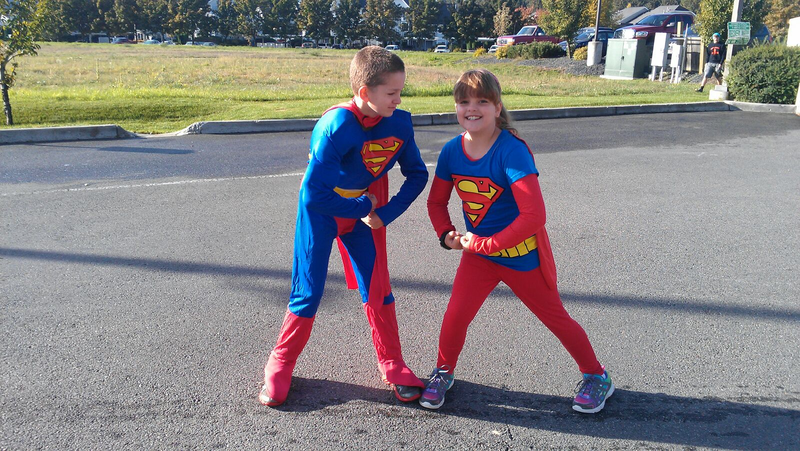 I was lucky enough to receive an awesome Superman costume from Halloween Adventures for my son in time to wear to the event and it was a huge success! 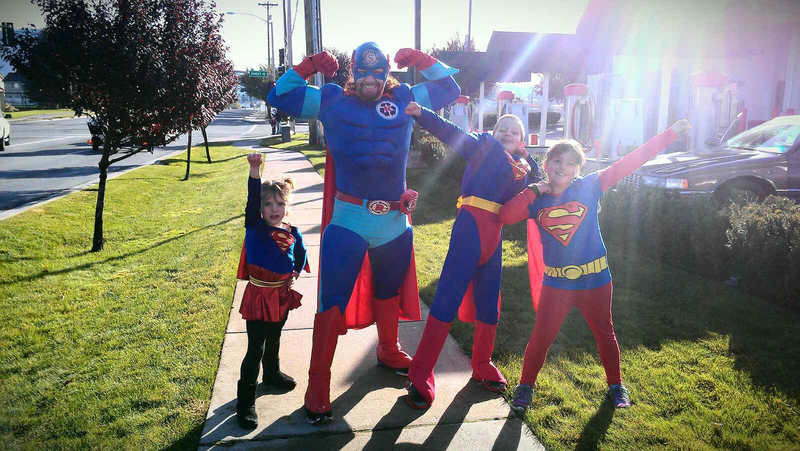 This great children's Deluxe Muscle Superman Costume includes everything you need for your child to be the SUPER HERO that you both know they are! It includes a muscle chest jumpsuit, cape, boot tops and belt. It fit my son perfectly! It was also easy for him to get on and comfortable to wear. So many costumes are awkward and difficult to function in... that was not the case with this costume! Halloween Adventures is an online costume store that features a huge selection of costumes and costume accessories at reasonable and affordable prices! They have the perfect costume for every member of the family, including costumes for kids, adults and even your family pet! 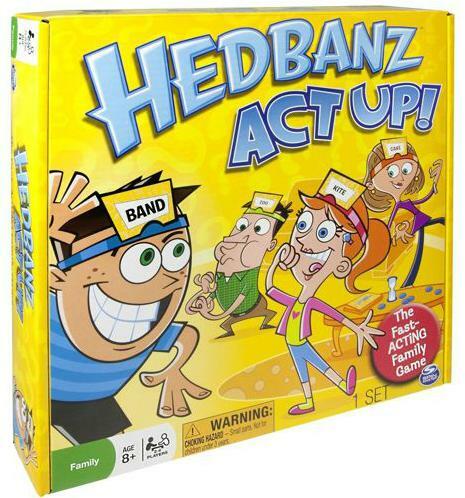 2013 Holiday Gift Guide - Check Out the Amazing Line-Up! Let the holidays begin... The first item for the 2013 Holiday Gift Guide has arrived on my doorstep, and more are on their way! The second annual holiday gift guide is currently being put together right here at Being Frugal and Making it Work, and I plan on providing you with some fabulous holiday gift ideas, reviews and giveaways for everyone on your holiday gift list. My goal is to make it even bigger and better than last years holiday gift guide! Learning How To Balance Life, Home & Blog After Going Back to Work! You may have noticed that I wasn't around much this week - hopefully some of you did! I will admit that things were more than just a little bit crazy this week, and I'm just trying to figure it all out. 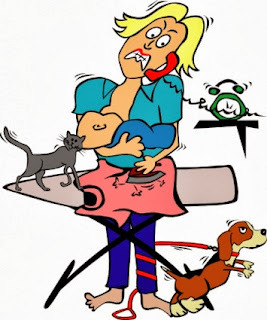 Up until last week, I've been a stay-at-home-mom, not working outside of the home since I was 3 months pregnant with my oldest. Being a stay-at-home-mom allowed me to raise my children, enjoy every moment and milestone with them, and be a regular and active volunteer at their school. My children are now 12 1/2 and 9 1/2, and I just stepped back into the workforce. I took a position in the Title Room at my daughter's elementary school. This is the same school where I have been a volunteer and PTO member since my son started Kindergarten there, 8 years ago. 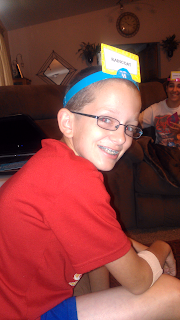 This year my son moved to the junior high, so sadly he's no longer in the same school. As you can imagine - I'm trying to figure out a whole new routine and schedule and I'm finding that managing my time is going to take some adjusting! I no longer have all day long to do my laundry, go grocery shopping, run errands, and do my regular workouts. I know that it will take me a little bit of time to "figure it out," but I'm hoping that it won't take too long! The 2013 Holiday Gift Guide is currently being put together right here at Being Frugal and Making it Work, and I plan on providing you with some fabulous holiday gift ideas, reviews and giveaways for everyone on your holiday gift list. 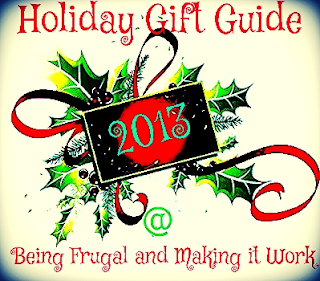 This is the second annual holiday gift guide here at Being Frugal and Making it Work, and my goal is to make it even bigger and better than last years holiday gift guide! 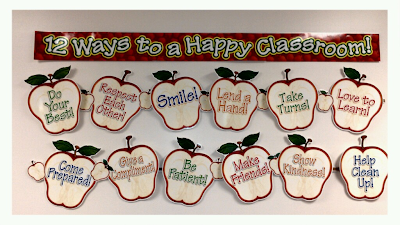 Back to School: 12 Ways to Create a Happy Classroom! 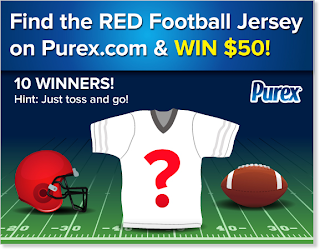 Have you entered the Find the Red Football Jersey and Win Sweepstakes? Find the red football jersey hidden somewhere on the Purex website and you could be 1 of 10 lucky winners who will each WIN $50! Get a FREE Vitamin Burst K-Cup Sampler Pack for Your Keurig! HURRY... the first 10,000 to sign up will receive a free Vitamin Burst sampler pack! Vitamin Burst is giving their Facebook fans the chance to try delicious fruit brews with their Splash of Fruit sampler. 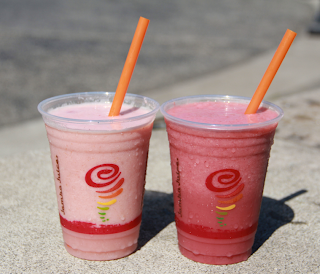 These fruit brews are brewed hot and enjoyed cold - the perfect way to squeeze every drop out of what's left of summer. Do you realize the importance of taking a daily vitamin supplement, but have difficulty swallowing pills? My daughter has never been able to swallow pills, not even the the tiny ones. I've tried putting it in her food, but it never seems to go down. Any time she needs medication, we have to opt for the chewables or liquid version. Liquid health supplements and vitamins seem to be the newest craze, and they are becoming more readily available both online and on store shelves. Not only are liquid vitamins and supplements easier to swallow, they are also absorbed better by the body, which helps maximize the benefits for your body. 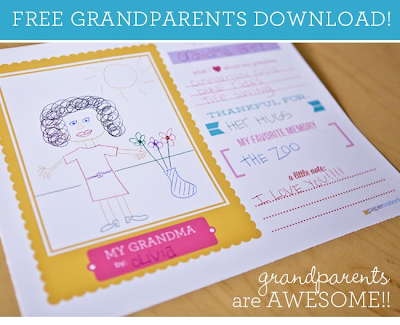 FREE Grandparent's Day Printables - The Perfect Grandparent Gift! Tomorrow is Grandparent's Day, and what grandparent doesn't love a special gift from the heart of their grandchild? Who can deny the simple fact that grandparents are pretty awesome. They provide unconditional love, candy before bedtime, and lots of great memories. To help celebrate Grandparent's Day this year the Paper Coterie design team has created the perfect free printable. With an area for your child's artwork and a fill in the blank portion, this year's gift will be one from the heart. Just download, print, and have your children create a one of a kind keepsake. Ringling Bros. and Barnum & Bailey Circus – Fully Charged Gold Edition Tour! Hey Spokane! 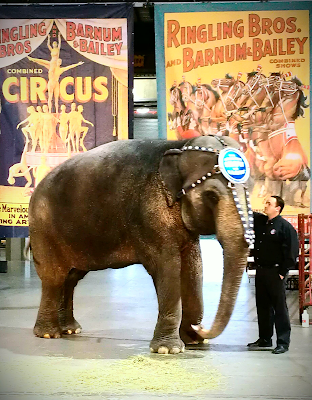 Did you know that the Ringling Bros. and Barnum & Bailey® Circus is in town this weekend? The Being Frugal and Making it Work family attending the "FULLY CHARGED" show Friday night and had a fabulous time! We arrived about 45 minutes prior to show time, so we could walk around the Arena and look at all the fun souvenirs the vendors had for sale, and to find our seats early. 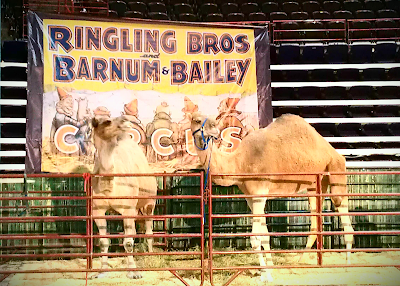 As we were walking down to our seats, we noticed some activity going on in the middle of the circus ring. There was a silly clown with orange hair entertaining the crowd of people surrounding him. The floor was open to everyone for an all access pre-show. Several of the circus acts and entertainers came out and performed for the early crowd, and even got them out into the ring to try the stunts on their own. They were really catering to the crowd and encouraging their participation. They even brought one of the elephants out to make a one-of-a-kind footprint that was later given away to one lucky audience member. Hey Spokane! Don't Forget the Ringling Bros. and Barnum & Bailey® Circus is in Town! Hey Spokane! 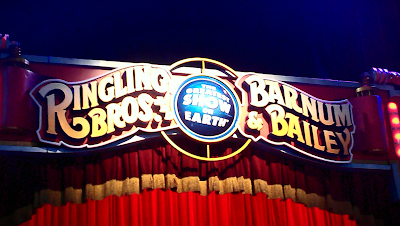 Don't forget the Ringling Bros. and Barnum & Bailey® Circus is in town this weekend! The Being Frugal and Making it Work family attending the action-packed show tonight and had a fabulous time! If you haven't already purchased your tickets, don't worry... there is still time! "Ringling Bros. and Barnum & Bailey® is proud to present FULLY CHARGED, Gold Edition, an all-new powerful surge of circus entertainment! Experience the excitement as Ringling Bros.® transforms energy and power into megawatts of thrills and turns spectacles of superhuman athleticism and displays of animal magnificence into sparks of wonder for Children Of All Ages. Imaginations ignite when Ringling Bros. and Barnum & Bailey® Presents FULLY CHARGED, Gold Edition!" I will be sharing our experience at tonight's Ringling Bros. and Barnum & Bailey® Circus tomorrow, so be sure to keep your eyes open for that! 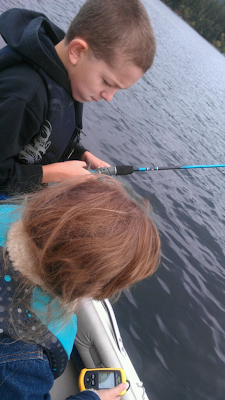 Enjoying the Last Few Weekends of Summer - Fishing on the Lake! My husband and I try to make the most out of every single moment... making memories with our children that will last a lifetime is at the top of our priority list. Always! Even though summer vacation is over and the kids are back in school, we still have a few weekends to enjoy one of our favorite activities before we have to winterize the boat... fishing on the lake! 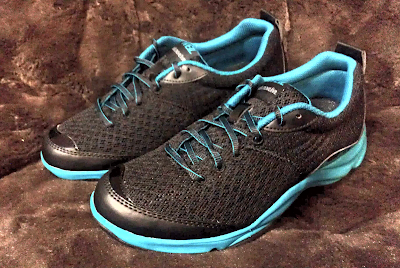 I was recently given the opportunity to go on a little Rakuten.com Shopping spree. If you’re not familiar with Rakuten.com Shopping, they’re a leading online retailer that offer a huge range of products, including; clothing, gadgets, health and beauty, toys & baby and much more. Many of the products on the site can be delivered in as little as 1 – 2 days and numerous products offer free shipping. As I was looking around on the Rakuten shopping site, I was amazed at their variety, selection, and low prices! They had everything from computers and electronics, shoes and clothing, books and wine, camping and bbq supplies, and so much more. How was I possibly going to choose just one or two items? Then I had an idea! I was going to look for something that we could enjoy each and every single time we went fishing... something that the kids and my husband had mentioned wanting over the summer - a portable fish finder! I was in love with the price, and even more impressed with how quickly it arrived at our door. 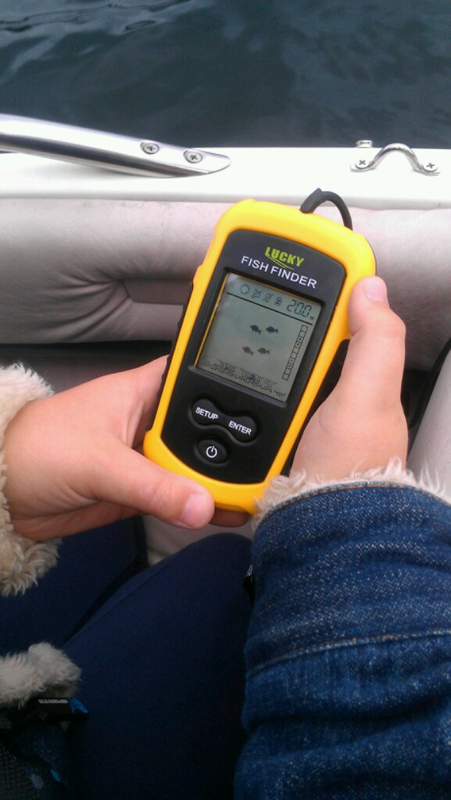 The portable fish finder that I ordered was a whopping 67% off and was going to be the perfect tool for our boat. Get CASH for Your Unwanted DVDs, CDs, Games & Blu-Rays! What do you do with your old DVDs, CDs, games and blu-rays that you no longer watch, like or play? 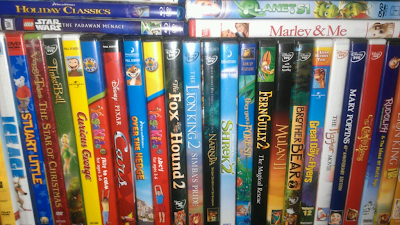 Maybe you have a collection of children's movies that your children have simply outgrown. Chances are, you have purchased one (or more) of them and they are just laying around the house collecting dust. Am I right? I am always looking for simple ways to earn a little extra spending money, and actually belong to a few Shop n' Swap groups on Facebook. Sometimes selling certain items isn't as easy as selling another. So, what if I told you that you can get CASH for your unwanted DVDs, CDs, games & blu-rays! It really is EASY to sell your forgotten DVDs online with musicMagpie. Simply enter the barcodes from your unwanted games and movies into the valuation engine and get an instant price - MONEY! To sweeten the deal - it's FREE, EASY to use, there are no seller fees, the prices are guaranteed, and there are no shopping costs. Simply put... IT'S TOTALLY FREE! Making a little extra spending money has never been easier! This is the perfect opportunity for me to finally send Barney, Dora, Bob the Builder, and Thomas the Train down the road! I'm sitting here trying to grasp the fact that it's already September, and my kids are going back to school tomorrow. 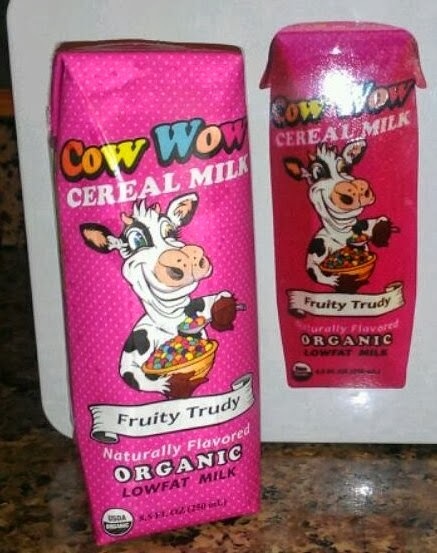 Really?! Where did the summer go and how can it be over already? I'm in the beginning stages of planning my holiday gift guide, and I'm hoping it's going to be even better than the one I had last year! Being able to win holiday gifts can make giving gifts less stressful and more enjoyable! I'm really looking forward to it. As a parent, volunteer, and part-time school employee, I know how important teachers are in the lives of children. In celebration of educators everywhere, Dollar General is teaming with Procter & Gamble® to honor our nation’s schools and teachers who make a difference in the lives of children through its Every Day Heroes program . The Every Day Heroes campaign honors educators who teach students to be their best by offering great savings on school supplies and other products for the heroes closest to our hearts. Dollar General has a strong commitment to education through the Dollar General Literacy Foundation and believes learning to read, earning a GED or learning the English language are investments that opens doorways for personal, professional and economic growth.